(CN) – The Trump administration unveiled a plan Tuesday to drain federal protections for wetlands and other isolated bodies of water, doing away with the Obama-era Clean Water Rule opposed by farmers. Rep. Greg Gianforte, R-Montana, also praised the proposal. 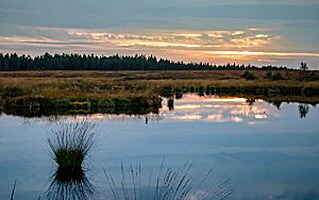 The new rule, if adopted after a public-comment period, will end federal protection of wetlands that are not adjacent to major bodies of water, and of ditches and streams in which water runs only after rainfalls. “This is not an Obama rule versus a Trump rule. It does not just go back to 2015, but hits the very core of the Clean Water Act,” Geoff Gisler, a senior attorney with the Southern Environmental Law Center, said in an interview. The Clean Water Act, enacted in 1972, protects “navigable” waters of the United States from unpermitted discharges that could harm water quality and specifies that permits must beo btained for nonexempt activities that could impact nearby waters. Language in the law does not define exactly which waters are navigable and therefore protected. In 2015, the EPA and the Army Corps of Engineers under the administration of former President Barack Obama published the Clean Water Rule to clarify which bodies of water and wetlands are federally protected under the Clean Water Act. These same agencies, under Donald Trump’s presidency, are calling the 2015 rule a land-grabbing overreach by the federal government because its protections extend to wetlands and other bodies of water that are not adjacent to major ones. Last year, former EPA Administrator Scott Pruitt signed an order to suspend the Clean Water Rule for two years, giving the Trump administration time to write a new one. Zippy Duvall, president of the American Farm Bureau Federation, said at Tuesday’s press conference that the 2015 rule is intrusive to the private property rights of farmers who own land with bodies of water. He praised the Trump administration’s decision to shift the power to protect waters to state and local governments. “No one in the capitol knows best how to take care of the land than the ones who till it and farm it,” he said. Representatives of the Farm Bureau from all 50 states attended the press conference in support of the new proposed rule. Duvall said the process of obtaining permits under section 404 of the Clean Water Act is costly and time consuming, hurting rural farmers in the 22 states where the Obama-era rule still stands. But Gisler, the Southern Environmental Law Center attorney, pushed back on that assertion.